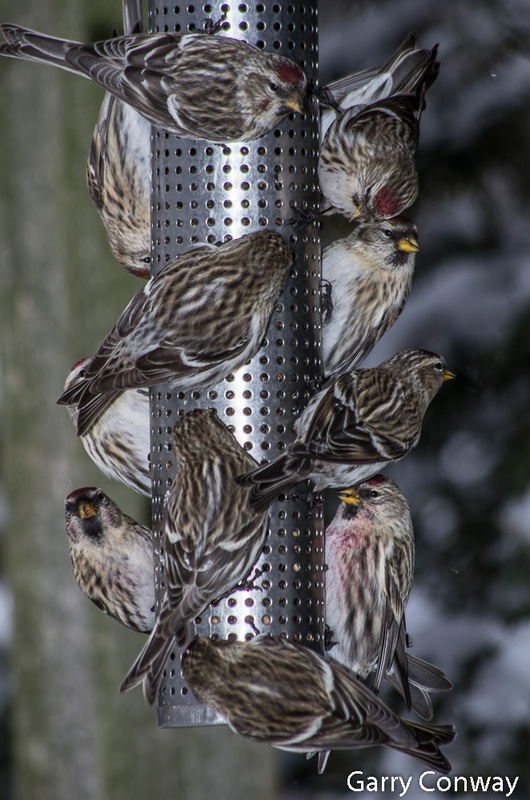 The first place I look each morning is toward the feeders outside the kitchen window, where the drama that is life unfolds. As I watch and marvel at these tiny creatures in their struggle for survival, they remind me of how we lose touch with our own basic needs in our all-too-complicated lives. It is easy to observe how birds are instinctively affected by their surroundings. An oncoming storm can cause a feeding frenzy, or a hungry hawk can cause a hasty retreat to nearby trees. Contrary to common practice in photographing birds, many of my most dramatic photographs have been taken in very low light with shutter speeds too slow to freeze their movements. I’ve had to attune myself to the birds’ rhythms and catch their moment of stillness to take the shot.